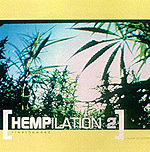 CD review: "Hempilation II: Free the Weed"
This review first appeared in the January 9, 2001 edition of the American Reporter. It's been three years since Capricorn Records raised eyebrows with the release of its "Hempilation" CD. A compilation of pro-marijuana songs by artists ranging from the Black Crowes and Blues Traveler to Ziggy Marley and Widespread Panic, "Hempilation" garnered more than $90,000 for the National Organization for the Reform of Marijuana Laws (NORML). Who knows what impact that all had, but since then, two states  California and Arizona  have passed ballot initiatives legalizing the medical use of marijuana (although the Clinton administration continues to threaten any doctors who recommend marijuana with prosecution and loss of their prescription-writing privileges). If nothing else, the Capricorn set helped mainstream the debate over marijuana and whether it ought to be available to adults like alcohol or tobacco. As a follow-up to that album, Capricorn has issued "Hempilation II: Free the Weed." Very much in the mode of the first, the artists vary from the widely known (George Clinton, Willie Nelson, Freedy Jones Band) to completely unknown (Fun Lovin' Criminals, From Good Homes, Letters to Cleo). The music is just as varied, featuring Everything's raspy alternative, Clinton's heavy funk, Government Mule's post-Skynyrd hard rock and Spearhead's danceable acid jazz. The songs are all still about pot ("The Dope Smokin' Song" by Hank Flamingo is the most straightforward, although "Smoke 'Em" and "High" aren't exactly bathed in subtlety), and part of the proceeds of this album will again go to NORML. Unlike many fund-raising albums, "Hempilation II" easily stands on its own musical merits  if you buy this for the principal, you're also getting a pretty fun and interesting batch of tunes.